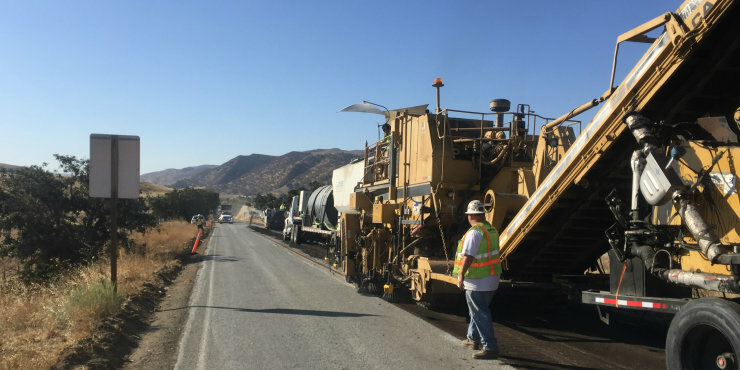 Graniterock’s Construction team partnered with Caltrans on a cold in-place/overlay pilot project on a 6-mile stretch of Highway 25 south of Hollister that produced solid results. 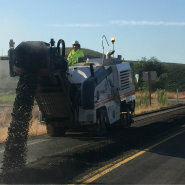 The $2.7 million project focused on two aspects: smoothness and intelligent compaction, which is a new spec coming out for Caltrans using GPS technology and computerized compaction technology installed on the rollers. The CIR portion of the project, an emulsion form of CIR, was performed by a subcontractor (Graniterock’s CIR team uses the foam method, which has yet to be added to Caltrans’ specs). Project Manager Gary Whitmire praised Craig Jud and his crew for their magnificent job of partnering with the subcontractor to create a seamless train, which expedited the work and set up the intelligent compaction team for success. 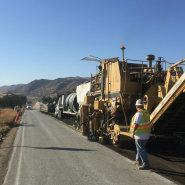 The entire CIR/paving team, especially the roller operators, spent a great deal of time and effort synchronizing the rolling operation with the GPS/quality control team to achieve the high level of documentation required for the project. “Special thanks goes to Dan Enochioaie, a human algorithm, who became very adept at making two different technologies talk to each other,” Gary said. Gabe Van De Vrugt worked closely with Caltrans, HAMM (roller manufacturer), Wirtgen (CIR equipment manufacturer)and Nixon-Egli (road construction equipment dealer)to ensure the data was correct and recorded properly. 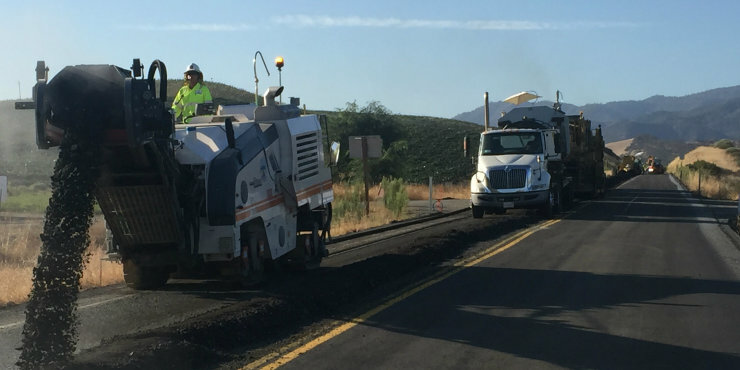 Robert Lauderdale and his paving team installed 12,000 tons of asphalt to cap the CIR and complete the smoothness specification with great success. “Robert and his guys did their normal fantastic job,” Gary said. The project was won by EstimatorRandy Bonino. Special thanks goes to Jason Bauer and Mike Sabatino who took the lead in starting and finishing the project. Additional thanks goes to Michael Vaz, Robert Gil Jr., Jason Smyth, Can Chen, Brent Edelman Jr., Frank Rancadore, Elden Davis, Robert Haun, Brad Reed, Matt Korach, Roberto Oliveri and Joe Rivera.